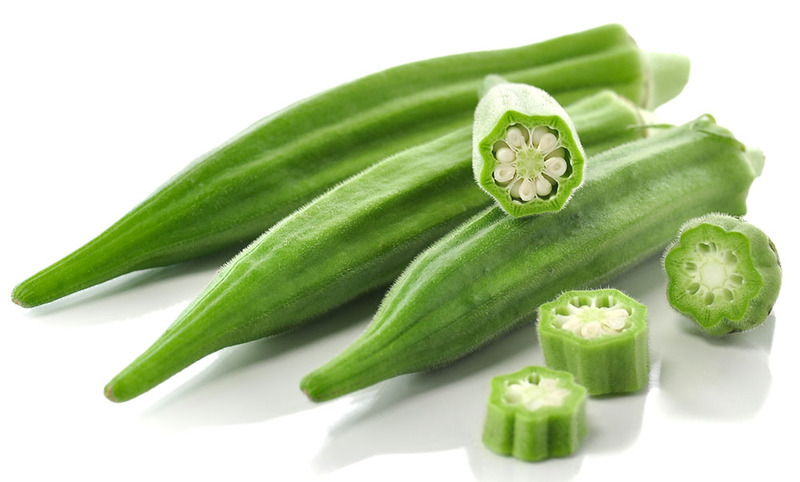 The okra plant is native to Africa and its long, ridged seed pods are widely used in the cooking of that continent, as well as in the cuisines of the Caribbean, India and the Mediterranean. Okra is usually stewed, although it may be fried or steamed before combining with other ingredients. The seeds are coated in a slimy substance that is released into dishes containing chopped or sliced okra, giving them a somewhat gloopy consistency. This is relished by some and is often exploited as a deliberate characteristic of okra dishes. But if it is not to your taste, okra pods can simply be trimmed and cooked whole, so that the viscous liquid cannot ooze out. The end result will still capture the delicate but distinct flavour of okra and is truly delicious. When buying, look for small, bright-green pods that are firm and slightly springy when squeezed. To prepare them, trim off the stem without revealing the seeds, then either leave whole or cut up as required in the recipe. This simple Mediterranean-style dish, mildly spiced with coriander, is the perfect way to enjoy tender whole okra. Serve it hot, warm or at room temperature – as a vegetable accompaniment or as an appetizer, with chunks of crusty bread for mopping up the juices. Heat the oil in a large pan. Add the onion and garlic and gently fry for about 5 minutes. Stir in the coriander, then add the tomatoes, wine and water. 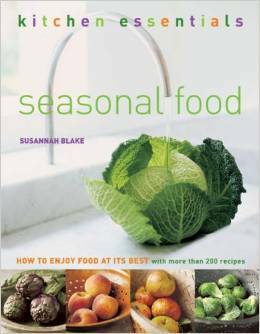 Season to taste with salt and pepper and stir. Add the okra and gently fold in. Bring to the boil, reduce the heat, cover and leave to simmer gently for about 20 minutes, stirring occasionally, until the okra is tender. Check the seasoning and serve, with the chopped parsley sprinkled over the top. Sign up for our newsletter to get our news and updates straight to your inbox every month. If you’re not yet familiar with Chia seeds, then it’s well and truly time for you to get to know about these tiny little balls of goodness as they are among the healthiest foods on the planet. They’re the size of poppyseeds and come in either black/grey or white. They can be easily be found in health food shops (numerous supermarkets sell them, too), and their popularity is increasing all the time. Chia seeds originate from a flowering plant in the mint family called Salvia hispanica that is native to Mexico and Guatamela, and they are said to have been the food of choice of the Aztecs and Mayans back in the day due to their ability to provide sustainable energy. In fact chia is the ancient Mayan word for ‘strength’, and a single tablespoon would keep them going for 24 hours! Don’t be fooled by their size – these tiny seeds pack a powerful, nutritional punch. As well as providing energy, they are ridiculously high in fibre, omega-3 fats, protein and antioxidants. They are low in calories, classed as a ‘whole-grain’ and are naturally gluten free. One recommended daily serving is only 1 tbsp (15g/.oz), which is incredibly easy to include into your daily diet. The seeds taste pretty bland alone, so you should add them to other things, such as cereals, yogurt, salads, and veggie or rice dishes. Stir them into soups, porridge and stews, blend them into smoothies or add to your baking, such as bread, cakes and muffins. 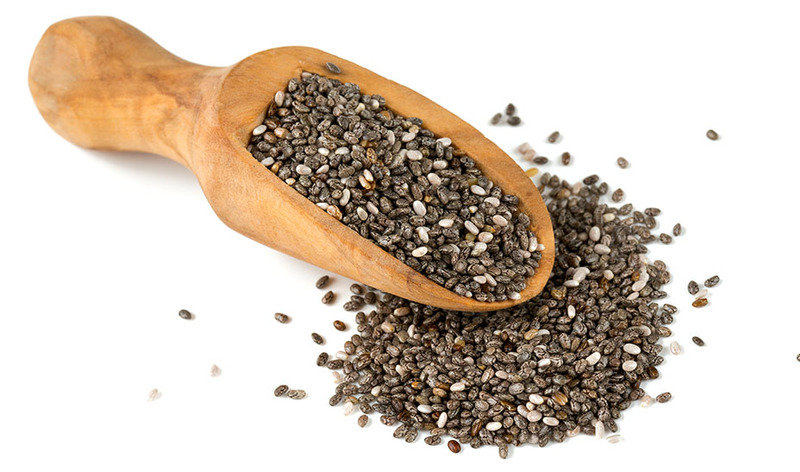 The thing about Chia seeds that amazes me the most is that they absorb so much liquid (12 times their weight) and can therefore be used to thicken sauces, make puddings and used as a substitute for eggs in pretty much most recipes. When mixed with liquid the seeds plump up, forming a gel layer around each seed, which then acts as a binder in the same way eggs do. To create an egg substitute, simply mix 1 tablespoon chia seeds with 3 tablespoons water or other liquid such as milk or juice. Leave to soak for about 5-10 minutes until you have a gloopy gel equivalent to one whole beaten egg. Each 1 tablespoon of chia seed is equivalent to one egg, so increase quantities of chia seed and liquid according to your recipe. It’s worth pointing out that once made, chia seeds still retain a slightly crunchy texture when in gel form. For many recipes this is just fine, such as in baking, but you can grind the seeds in a blender or coffee grinder before mixing with liquid for a smoother end result. This is particularly useful when making puddings or sauces. 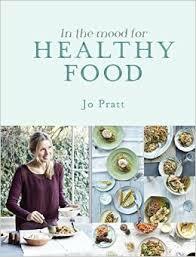 My latest cookbook In the mood for Healthy Food is out mid July and contains many recipes using Chia seeds such as Chia Seed Flapjacks, Beef and Quinoa meatballs, Raspberry Chia Jam. However here is a sneak peek of a versatile salad dressing which uses Chia seeds to create a creamy texture. This is great to use as a salad dressing with crunchy Cos lettuce, crunchy baked bread croutons and some shavings of Parmesan cheese. It also works really well as a dip for crudit.s or to toss into cooked new potatoes for a very tasty potato salad. Place 3 tablespoons lemon juice, 2 tablespoons chia seeds, 3 tablespoons avocado or extra virgin olive oil, 1 anchovy fillet, 1 small peeled garlic clove, 1 teaspoon Dijon mustard and 1 teaspoon honey in a blender and blitz until smooth. Check for seasoning and add salt and pepper to taste. Serves 4. French Brasserie Cookbook just landed on our shelves and we are giving away 5 copies! The competition runs until Thursday July 2 and the winners will be randomly selected. https://nourishbooks.com/wp-content/uploads/2015/06/cover.jpg 1901 2268 Nourish https://nourishbooks.com/wp-content/uploads/2018/04/NourishLogo340x156-300x138-300x138.png Nourish2015-06-25 09:57:192015-06-25 14:40:35Giveaway Time! 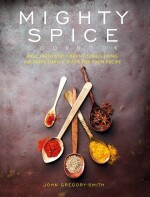 This article is an extract from Mighty Spice Cookbook by John Gregory-Smith. Also called ‘Indian Saffron’, turmeric is a very old spice that is native to India, which is still the major producer of the spice today. It was first cultivated around 3,000bc by the Harappan civilization in the Indus Valley. The beautiful spice was used in cosmetics, cooking, medicine and as a dye, which all still remains the case today. The wonderful root has been praised in Ayurvedic medicine for centuries as an important anti-inflammatory, antioxidant and vital aid to digestion. And as I discovered during my recent travels to India, often when turmeric is added to a curry, ‘for health’ is pronounced. Turmeric is part of the ginger family, and if I am going to get technical, like ginger, it is a rhizome: a horizontal mass of the stem of a plant that is found growing underground. However, the best thing about turmeric is its madly orange colour. If you are ever lucky enough to get hold of the fresh ‘root’, you’re in for a treat. The muddy yellow-coloured root, when broken open, reveals an intensely deep, bright orange-coloured root. It’s so amazing! In South East Asia the root is often used fresh, either grated or simply cut up and pickled. The flavour is very distinct – earthy and slightly bitter – and it provides the colour of a beautiful, deep orange evening sunshine to curries, stir-frys and curry powders. To make the yellow turmeric powder we all know, the root is boiled, dried and ground. Due to the intensity of colour and flavour, turmeric should be used sparingly. I tend to buy it in small amounts, which can be kept for up to six months. To keep its flavour, store this golden spice in a dry, airtight container out of direct sunlight. If you are using turmeric in a spice rub, I strongly recommend putting on a pair of rubber gloves before you start. Cha Ca La Vong is a famous restaurant in Hanoi that serves just one dish: ‘Cha Ca’ or fried fish. It is served with spring onions at your table in a frying pan, sizzling on top of a small barbecue. 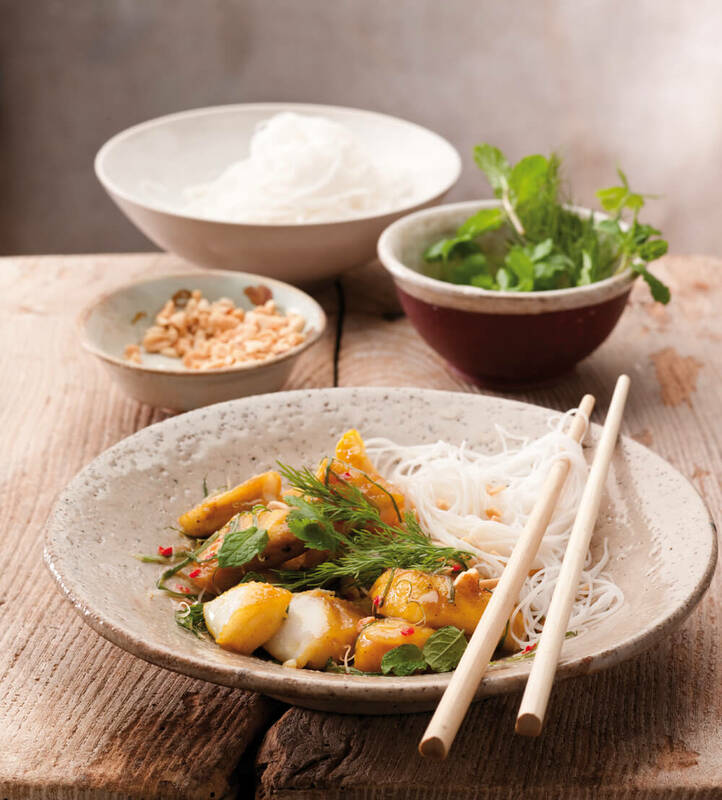 Ingredients: 50g/1¾oz/1/3 cup unsalted peanuts, chopped • 250g/9oz rice noodles • 6 tbsp vegetable oil • 1 handful dill, chopped • 1 handful coriander leaves, chopped • 1 handful mint leaves, chopped • 1 tbsp turmeric • 4 tbsp plain flour • 4 cod fillets, about 200g/7oz each, skinned and cut into bite-sized pieces • 8–10 spring onions, halved and finely sliced lengthways • 2 tbsp fish sauce juice of ½ lime • ½ red chilli, deseeded and finely chopped. 1 Heat a frying pan over a medium heat. Add the peanuts and gently toast, shaking the pan occasionally, for 2–3 minutes, or until the peanuts are a beautiful golden brown. Transfer the nuts to a plate to cool. 2 Cook the noodles according to the packet instructions, drain and immediately refresh under cold water. Drain well then transfer to a bowl, dress with 2 tablespoons of the oil to stop them sticking and set aside. Put the dill, coriander and mint together into one bowl and the peanuts into another. 3 In a large mixing bowl mix together the turmeric and flour. Dip the cod pieces into the flour, making sure every piece is completely coated. 4 Heat the remaining oil in a large frying pan over a medium heat and fry the cod, turning occassionally, for 2–3 minutes, or until the flesh turns opaque and is flaky to the touch. 5 Add the spring onions, fish sauce and lime juice and gently mix until well combined. 6 Scatter the red chilli over the top and serve with the noodles, herbs and peanuts on the side to mix together as you like. The Juice for Life programme means including a freshly made juice or smoothie every day. Try to make sure that over the course of every week, you drink juices in a rainbow of colours. You might enjoy the red or orange juices best, but make sure you get in a good few green juices, too, as these support your liver’s cleansing work (which helps fight cellulite and fat). If you have specific health goals, feel free to include juices from the Beauty, Power and Immunity chapters, too. Here you can find three recipes to get started. Don’t forget to incorporate a cleansing treatment every other week (or more often if you can manage it), to give a boost to your efforts, and incorporate a regular exercise routine, too. Twice a week, do 30 minutes’ resistance or weight training; and three or four times a week, do 30 minutes’ cardiovascular exercise that makes you slightly breathless. This indulgent-tasting smoothie bursts with nutrients to keep you energized throughout the day and makes a perfect replacement for breakfast. The nuts give the shake a high protein content, which balances your blood-sugar levels, keeping your mind alert and in focus. Process all the ingredients in a blender until smooth and creamy. Serve sprinkled with the cinnamon. Raw cacao is unprocessed and unheated, and so contains far more antioxidants than processed cocoa, and more than even most fruits and vegetables. It is particularly rich in magnesium (which you need for muscle function and relaxation) and arginine, an amino acid that helps maintain muscle mass. It is also packed with the amino acids tryptophan and phenylethylamine, which can boost mood. 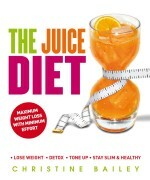 This juice is the perfect combination of quick energy fix and long-lasting power drink. A creamy, dairy-free smoothie, it is packed with antioxidants, B-vitamins and plenty of protein to combat fatigue. Serve it as a quick breakfast shake or a mid-morning snack. Soak the goji berries in 170ml/5½fl oz/²/3 cup water for 15 minutes. Juice the orange. Put the juice and the remaining ingredients, including the soaking liquid, into a blender and process until smooth. Goji berries contain all the essential amino acids (those we have to derive from food), as well as numerous trace minerals, including zinc, iron, calcium and selenium for immune health and energy production. Weight for weight, they have more beta-carotene than carrots. Powerfully cleansing and protective, this juice will fire up your body for the day and speed up its elimination of toxins. Drinking green tea has been shown to stimulate metabolism and your body’s ability to burn fat – this means that less fat is stored around your midriff. It is delicious drunk warm or cold. Juice the apples, lemon and ginger. Stir the juice into the green tea. Green tea contains health-boosting antioxidants, including flavonoids and catechins, which can help support heart health and may protect against cancer. Its tannin content is good for digestive complaints, while the theanine in green tea can help alleviate stress and improve mental alertness. The ginger in this juice aids circulation and digestive health. Nick Moyle and Richard Hood both grew up during the UK home-brew boom of the 1970s and 80s, with parents who regularly made their own drinks from home-grown produce, enlisting their help. This fired up a life-long obsession for the art of brewing and in 2008 they built their own cider press and have been producing cider for local pubs, beer festivals and deserving friends ever since. They started their Two Thirsty Gardeners website in 2012, which inspires thousands of loyal followers. Can you describe your book in few words? What should the reader expect from it? A huge range of easy to make booze recipes. The reader should expect inspiration and advice on how to turn every day ingredients into tasty alcoholic drinks – from quality beers, ciders and wines to curious international concoctions and crafty cocktails. When did your passion for brewing begin? We both grew up in the 1970s when the last home brew boom was taking place and became mesmerised by the steady trickle of gas bubbling through an airlock, knowing that one day demijohns full of murky liquid would eventually be transformed into bright, clear drinks. We both moved to Bath, surrounded by Somerset apples, so it wasn’t long before we were dusting down our parents demijohns and filling them with pressed apple juice to turn into cider. How did you meet and how Two Thirsty Gardeners came about? We met at university in Coventry and, coincidentally, both ended up working in Bath. After making those first batches of cider Rich acquired an allotment so we thought it would be fun to plant our own apple trees and see if we could grow anything else to turn into booze. We then decided to chronicle our digging and swigging adventures on a website. 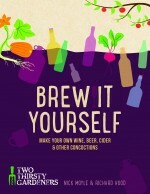 What was the biggest challenge in writing Brew it Yourself? What inspires you in what you do? Rich is quite a perfectionist with his recipes, so has made lots of ciders, trying to get the recipe and combination of apples and other ingredients as perfect as possible. Nick is much more inspired by discovering new drinks and experimentation. I guess that combination works well. What are some of the perks in your job? We wish brewing and gardening were full time jobs! At the moment, it’s all done in our spare time – although we’re both self employed so we’re lucky that we can find a bit more spare time than most people. It’s always great when we get to meet experts in one particular craft, from gin makers to brewers and specialist gardeners. Their dedication to their craft inspires us. What was the first recipe that you mastered? Cider, although Rich would probably say you never really master cider. One of the first recipes we put on the website, and our most popular, is rhubarb wine. We’re currently growing seven different varieties of rhubarb to see if they produce different results. What is the best recipe to get started? Making liqueurs couldn’t be easier – it simply involved dropping some ingredients into a spirit, with sugar, and allowing them to infuse. We’ve also got a really cheap and easy beer recipe for anyone wanting to get started brewing, and the rhubarb wine recipe is a great one for first time wine makers. For something a little different there’s a really refreshing sparkling drink from Mexico called ‘tepache’ that involves quickly fermenting pineapple rind. Working on the day job, squeezing in recipes and writing whenever we can. Can you tell us 3 hacks for a successful drinks making? In Autumn, make a really easy rosehip syrup and plunge it into cocktails or cider; Drop an edible flower – borage being our favourite – into your ice cube tray before freezing; Chuck a liquorice stick into stout while brewing – it’ll give you a even richer, tastier beer. Few things say summer more than sticking a sprig of mint into a glass of booze and topping it up with ice. From a white wine spritzer to an ice cold sangria or even a heady, appley cider, a fragrant green leaf or two adds an unmatchable fresh twist to drinks. We, however, like to turn a simple twist into a full on minty boogie, which is why you’ll often see us reaching for the rum to mix up a mint packed mojito. But we don’t stop there. Our home made crème de menthe kicks into touch any bright green supermarket versions you may have encountered, and we even turn great handfuls of the stuff into a fantastically fresh mint wine. No end of English folk are quick to declare the strawberry summer’s greatest fruit. And while it does a fine job of adding some fruity sophistication to a glass of Pimm’s, it lacks the versatility of our favourite berry, the raspberry. Being popular among the good people of Scotland you won’t be surprised to hear that it makes a fine whisky based liqueur. A vodka spirited raspberry liqueur is almost as impressive and a shot of the vibrant red liquid into a glass of fizzy wine makes a delicious ‘Kir Imperial’ – a redder alternative to posh blackcurrant cocktail Kir Royale. Raspberries are also our favourite fruit to add to beer recipes, with malty ales and crisp wheat beers all getting their berry bonuses. Elderflowers are out en masse as spring gives way to summer, encouraging lots of people to have a go at the only alcoholic fermentation they’ll make all year – a sparkling drink often referred as ‘elderflower champagne’. But there’s no reason to stop there: a similar amount of effort (but longer waiting time) can reward you with a much boozier elderflower wine; or an elderflower liqueur (like St Germain) can be made by soaking the flowers in sweetened vodka. If you’ve already missed elderflower season, fear not, because there are lots more edible summer blooms that can be used for booze. Fancy some floral fizz? Give lavender a go. Want a winning summer wine? Try red clover. Got a penchant for a sweet, peppery aperitif? Then nasturtium liqueur could be right for you. Suggest to wine connoisseurs that you can make a decent bottle of plonk out of muddy root vegetables and they’ll laugh you out of the wine cellar. But, mud aside, there’s a lot to be said for fermenting a rooty harvest – mainly the high sugar content and unique sweet flavours. 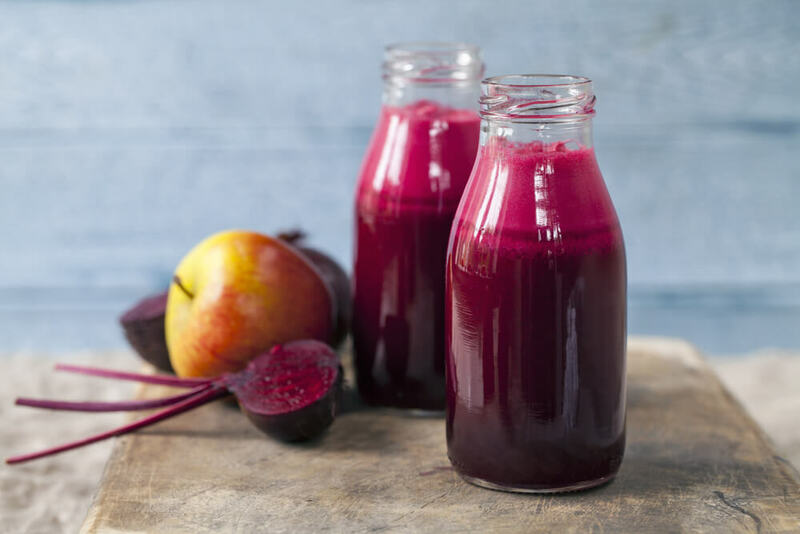 We have often turned to carrots and parsnips for our demijohn antics, but perhaps the most interesting veg for beginners – on account of its robust, red colouring – is beetroot. Use it as a wine flavour on its own, or tickle it up a notch with a few carefully selected spices, and you’ll not regret it. What’s more, beetroot can also be fermented to make a magnificent Eastern European tipple: kvass. Na zdorovie! You may think the last thing anyone needs during the hottest days of the year is the red raw heat of a freshly picked chilli bombing your glass of cold booze. But it’s time to think again. A blast of chilli flame prior to a cooling sip of cocktail is a marvellous thing – as anyone who has lined a margarita glass with chilli, salt and lime can testify. Another of our favourite summer drinks to get the hot rim treatment is Mexican ‘tepache’ – a quick and easy fermented drink made from pineapple. Bloody Mary fans should try infusing a chilli or two in vodka before plunging it into tomato juice, and anyone having a go at some home made ginger beer might like to follow Rich’s lead: he adds Scotch bonnets to the mix for an extra fearsome fizz. About the Authors: Nick Moyle and Richard Hood both grew up during the UK home-brew boom of the 1970s and 80s, with parents who regularly made their own drinks from home-grown produce, enlisting their help. This fired up a life-long obsession for the art of brewing and in 2008 they built their own cider press and have been producing cider for local pubs, beer festivals and deserving friends ever since. They started their Two Thirsty Gardeners website in 2012, which inspires thousands of loyal followers. leaves. Avoid specimens that are wilting, soft or discoloured. Remove the leaves, trim the ends of the stalks and peel away any thick skin, then either steam or boil until it is just tender and still retains its bite and colour. If stir-frying, cut into bite-sized pieces. If a recipe requires only the florets, do not throw away the stems – when cooked, they are tender and juicy and have a marvellous flavour. Use them in another recipe such as a soup or stew. 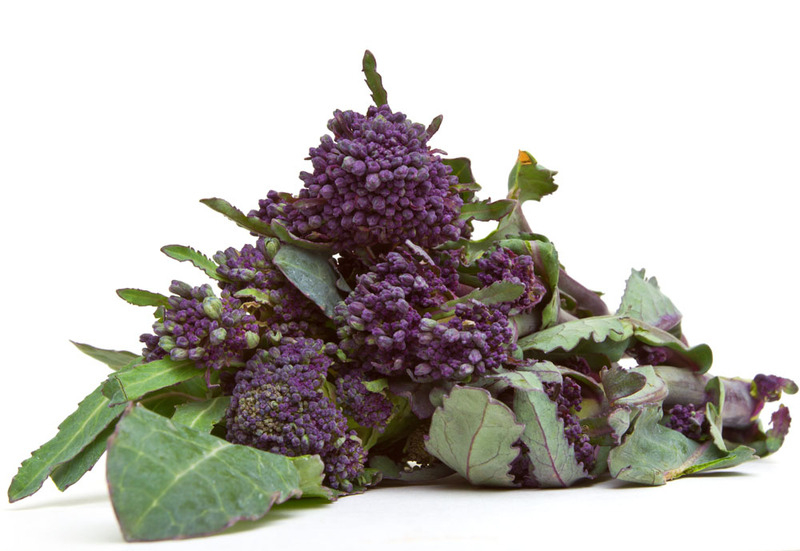 Ingredients: 2 bunches spring onions; 2 tbsp olive oil; 1.25kg/2lb 12oz purple sprouting broccoli, trimmed; shavings of Parmesan cheese for sprinkling (optional). For the Dressing: 1⁄2 tsp grated orange rind; 1⁄2 red chilli, seeded and chopped; 2 tbsp orange juice; 1 tsp lemon juice; 2 tbsp olive oil, salt and freshly ground black pepper. Put all the ingredients in a jug, seasoning to taste with salt and pepper, and whisk together. Set aside. Trim the root and tops of the spring onions and strip off the papery outer skin. Arrange on a grill pan. Drizzle with the olive oil and season to taste with salt and pepper. Grill for 3–4 minutes on each side until tender. Meanwhile, pour about 5cm/2in of water into a wide pan and bring to the boil. Add the broccoli and cook for about 5 minutes, until just tender. Drain well and pat dry.